Welcome to the "Local" addition of my guides to Istanbul. During my time in this awesome city, I was lucky to be taken under the wing of a few different Istanbul residents, both Turkish and Expat. They people taught me a lot about the city they call home, and now I'm passing that information on to you. So, before I kick this off, thank you SO so much to Angie, and Otan for being my guides. You guys make the world a little smaller, in a good way. My friend that I was visiting had previously lived in a much more traditional neighborhood a bit farther down the Bosporus called Üsküdar. We took a stroll through that neighborhood later on, and the juxtaposition was strong. In this neighborhood women wore hijabs (the Muslim head covering) and men sported traditional Muslim chinstrap beards. The streets were still bustling with people, but it was a completely different vibe. I felt like more of an outsider, as I had in more extreme Islamic places like Bangladesh. However, in spite of this huge cultural gap, Istanbul is a beautiful European-feeling city, so this sense of being an outsider was a bit out of place. 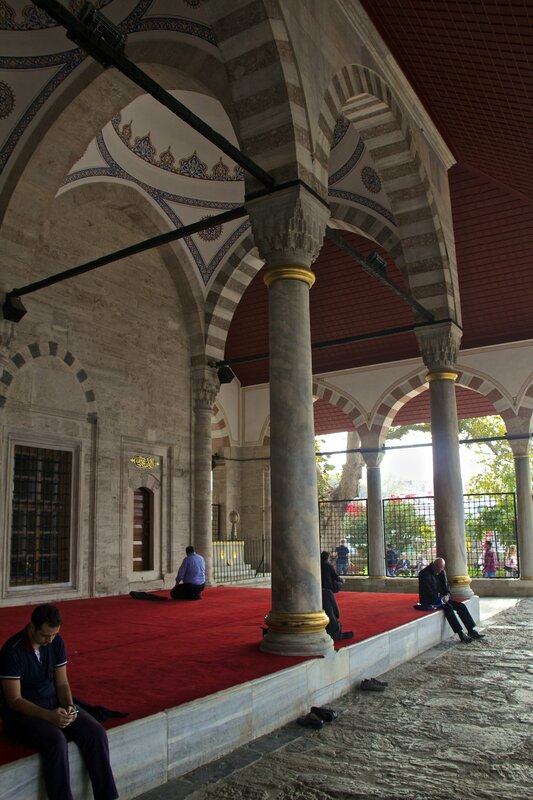 Even so, I walked through the streets, poked my head into mosques, and snapped a few pictures. 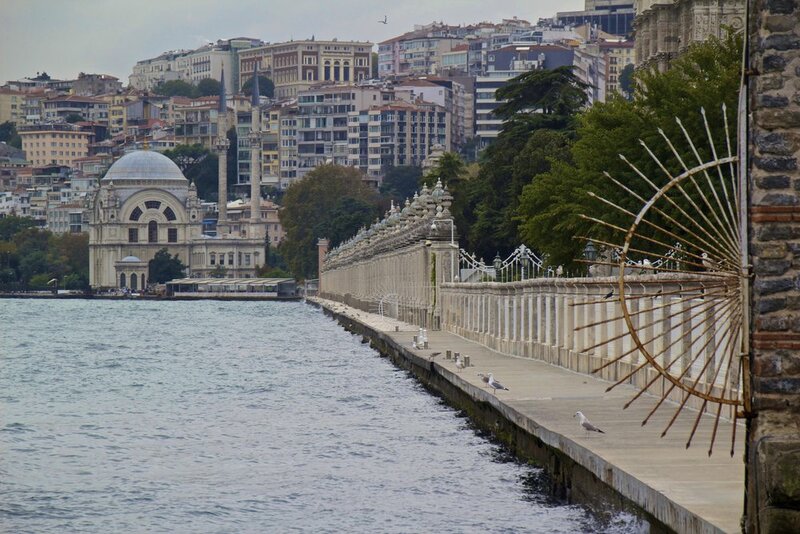 Across the Bosporus, on the European side, are some of Istanbul’s more famous areas. Indeed, almost all of Istanbul’s tourist attractions are over here, but I didn’t spend any extra time over here beyond what you read in the Tourist Guide. 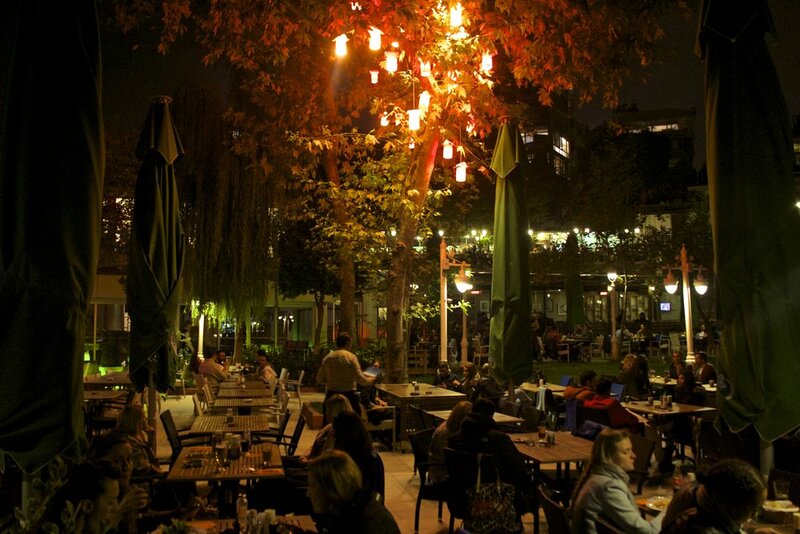 Most of Istanbul’s nightlife is also over here, in an area called Taksim. If that’s what you’re after, you’ll want to head to İstiklâl Caddesi, which is just the name of the street with all the clubs. Caddesi pretty much means “avenue” in Turkish, so take that into account when you’re struggling to plug this into Google Maps. Istanbul has a great metro system, but what really intrigued me about transportation in this city is how much of it happens via boat. They boats make runs back and forth between Europe and Asia all day every day, and the views are nothing to scoff at. 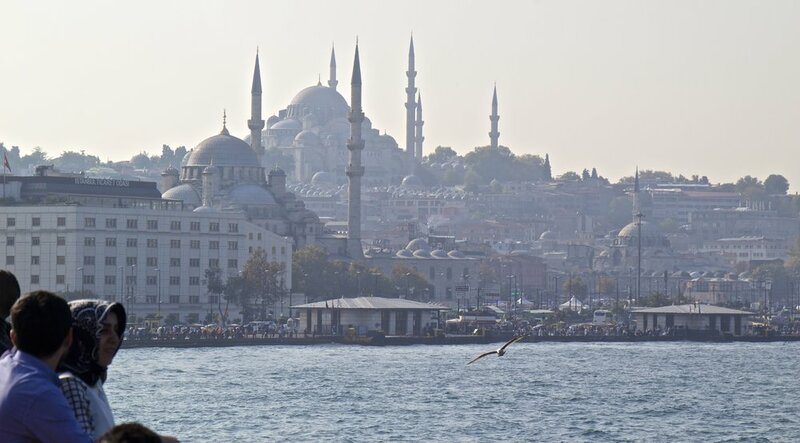 Istanbul from the water is quite a sight. The ferries are very comfortable too. So the ferries are fun, but not nearly as useful as Istanbul's amazing Metro system. 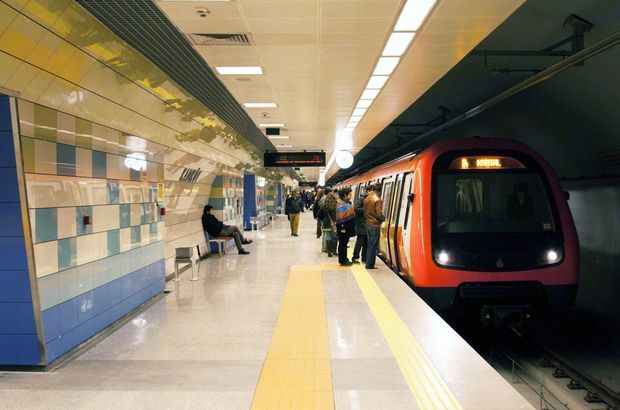 You can get from anywhere to anywhere else on Istanbul's unending network of underground trains. As you might expect, these trains can also carry you outside of the city. If you are traveling to the farther removed parts of Istanbul's Metro Area, or beyond, it won't take long before your train has emerged from its tunnel and is driving above ground. The ride is smooth, the trains are (relatively) clean, and a station is never far off. And it's cheap! A lot of sharp, soft cheese… that’s what I remember most. Turkish breakfast is not quite a "meal," or at least not in the classical sense. There is no "main course," rather, a lot of little things. Indeed, Turkish breakfast is more of a breakfast-themed snack platter than an actual meal. Included in this platter will be fruits, breads, and the aforementioned cheeses. All things considered, it was really good! This sort of light graze is a great way to start your day. Couple it with Turkish coffee, and you're all set for a productive day. The Turks are onto something. I ate a lot in Istanbul, but it would be inaccurate to present the following as an all-encompassing list of Turkish cuisine. It does include a lot of goodies though, so take notes. First, a restaurant recommendation: Dürümcü Emmi. The address is Hasanpaşa, 34722 İstanbul, Turkey. It was very good, and it’s open 24/7, which is something that I absolutely love in a business. 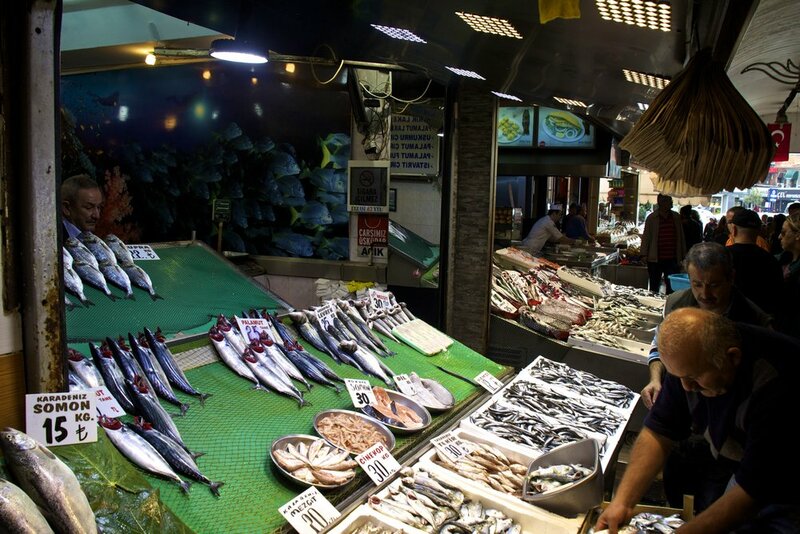 Below is a list of some of the foods I tried in Istanbul, along with the corresponding pictures. Number 1 through 4 were from Dürümcü Emmi. Being a staple of many different Islamic cuisines and cultures, you might already know what a Kebab is. Turkey has it's own take the Kebab—a few of them actually! Featured here is Adana Kebab. Adana Kebab is a long piece of grilled meat (the Kebab) that is served with supporting rice, bread, and greens. It's very, very good. This should typically cost you 25-30 TYR (6.62-7.95 USD). Melted cheese and well-cooked meat is wrapped bread, like a cream-filled donuts, except with meat instead of cream. The bread is cooked up so that the exterior has been sufficiently toasted, and then it's cut up into little pieces. These cross-sections of meat, cheese, and bread are then served with yogurt. In the picture to the right, this yogurt was topped with pistachio shavings. This should typically cost you 20-25 TYR (5.30-6.62 USD). Pacha Soup is another staple in many Islamic cultures. In other places across Persia and Arabia, this soup often includes pieces of a lamb’s head, including the brain, eyeballs, and tongue. Thankfully, it's a little different in Turkey. In Istanbul, I was served a slightly less disgusting version of this dish: cow’s hoof soup. It was actually very good! This should typically cost you 11-16 TYR (2.91-4.24 USD). Dough is fried and wrapped around ground beef. This forms a sort of lemon-shaped, breaded, meat dumpling. They are served warm as a sort of side-dish to a Turkish dinner. As an add-on to your meal, this should cost you 5-7 TYR (1.32-1.85 USD). Pide is a Turkish favorite, but for all its clout as a great, cultural food... it's basically pizza. 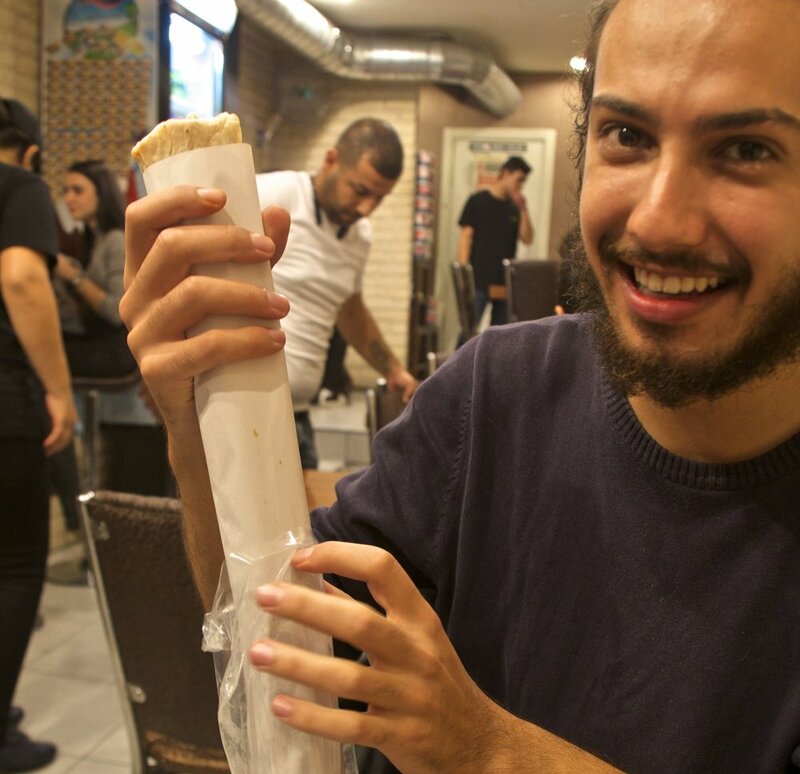 Pide is, essentially, an elongated flat bread pizza. So, in other words, it's awesome! And it's a total loophole in the mentality of needing to eat Turkish food whilst being in Turkey. "But Mom, it's not pizza; it's pide!" The price for 1 should be around 10-16 TYR (2.65-4.24 USD)—that is, depending on the toppings. It's kind of hard to tell what Zurna is simply by looking at it. It's sort of like burrito/wrap, except that it's as long as your arm. Exactly what is inside a Zurna can be pretty much anything. The options vary, but meat is almost always included. Mine was a mystery meat and some sort of spicy sauce. It was very good. It's a great food to get if you're on-the-go. The price for 1 should be around _ _ TYR (_ _ USD). Somewhere in between the lassie that is common in India & Bangladesh, and our western version of yogurt, you'll find Ayran. Most Islamic countries have some version of this drink, many of which have different names. I'm just gonna be honest here: I hated this drink. It tastes like sour, liquid yogurt. But it's a pretty significant food here in Istanbul, and other people seem to love it, so I'm pretty much obligated to include it. I think it's just an acquired taste. The price for 1 container (as seen here) should be around 2-3 TYR (0.53-0.79 USD). Best enjoyed on the banks of the Bosphorus. Turkey, and Istanbul in particular, has a thriving coffee shop culture, and a pretty distinct take on coffee itself. 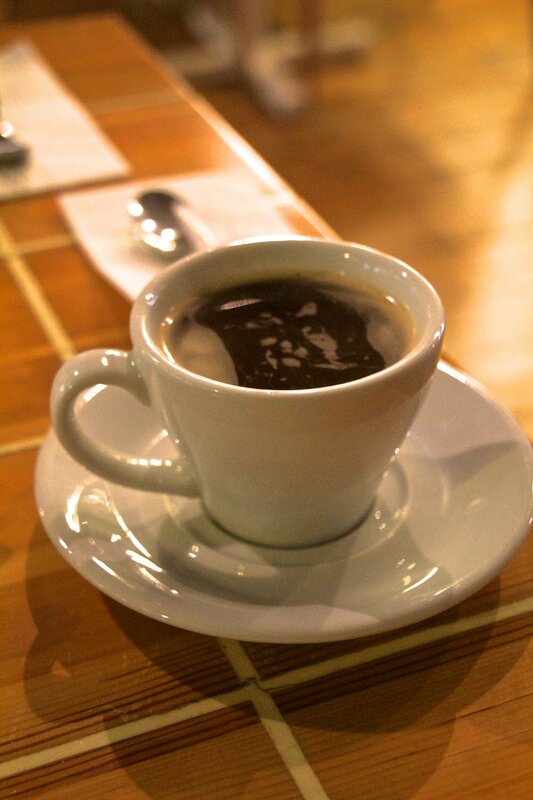 It’s a lot like Vietnamese coffee, thick, strong, served in small cups, but with one small difference: the texture. Where Vietnamese coffee is very smooth, Turkish coffee is rough, almost like drinking orange juice with pulp. It’s good! As good as Turkish coffee is, Istanbul’s coffee shop scene is even better. Everywhere you go, people are sitting at tables outside, sipping on cups of coffee, chatting. It wasn’t warm when I was there either. The Turks are pretty devoted to this ritual, it would seem. I can respect that. I love coffee shops and everything associated with that world. This is, indeed, a Breaking Bad themed coffee shop. I was skeptical about it when my friend told me about it, months before I even arrived, but it did not disappoint. The menus were made to look like periodic table. The walls looked like the chalk board of my high school chemistry class. And if that wasn’t enough, they have a “meth cooker” room, complete with a few yellow suits just laying, waiting for you to try them on. Oh yeah, and the coffee is good too, as is the food. They were actually fundraising to open a location in Brooklyn, New York. 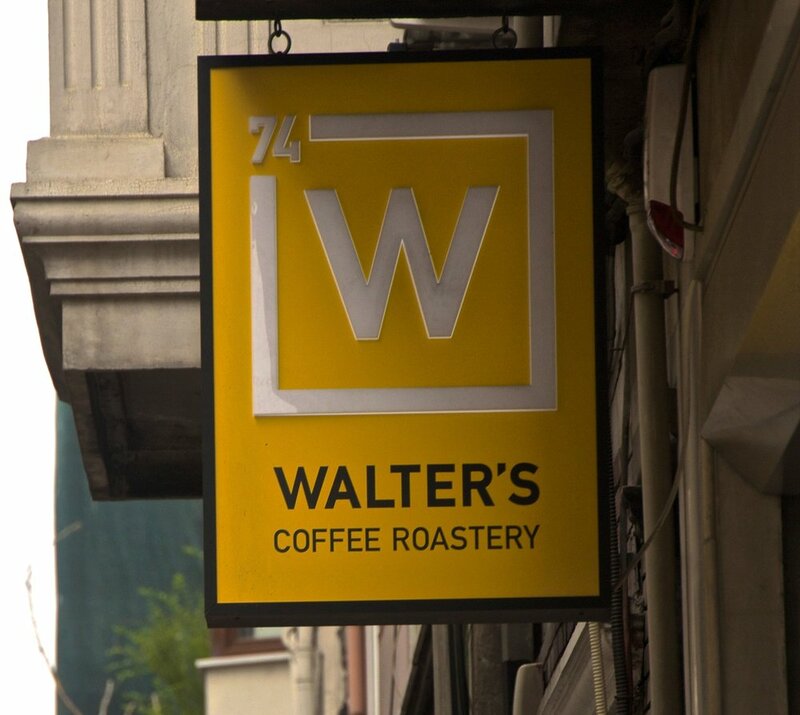 Walter’s Coffee will be opening it’s U.S. location in the summer of 2016. Take it from me, this will be the crowning jewel of Brooklyn when it happens. Brooklyn-ites out there, keep your eyes peeled. Walter’s is good, but this might be more “the classic” when it comes to Istanbul. 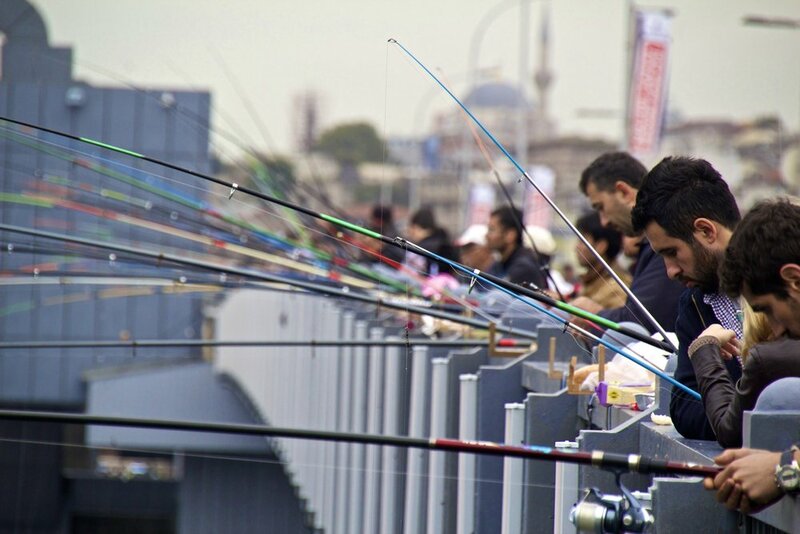 Along the Kadıköy coastline (and lots of other places too I’m sure), in addition to rows of men with fishing poles, you will see a few levels of coffee joints leading down the banks of the Bosporus. You get coffee or tea, and just relax as Istanbul floats by you. There will be rugs and cushions on the ground, in true Middle Eastern fashion, and men will walk by selling the quintessential, thin Turkish bagels. They’ll never pressure you to buy anything though, which was a nice change of pace for me. Here a few pictures I took from chilling there with my coffee. It was a grey day, but that is perhaps the most authentic demeanor of Istanbul—dreariness. Turkey is an Islamic country, so I did not arrive with any expectations of heavy drinking. The consumption of alcohol is strictly forbidden in Islamic culture. Turkey however is a bit of an anomaly in the Muslim world, so I wasn’t sure what to expect. Indeed, Turkey exists in the uncomfortable limbo between Europe, and the Middle East. With Iraq, Syria, and ISIS on one side, and Greece and Bulgaria on the other, worlds literally collide in Turkey. Nowhere is this collision more obvious than in Istanbul. Straddling the banks of the Bosporus means that Istanbul is literally half in Asia, and half in Europe. 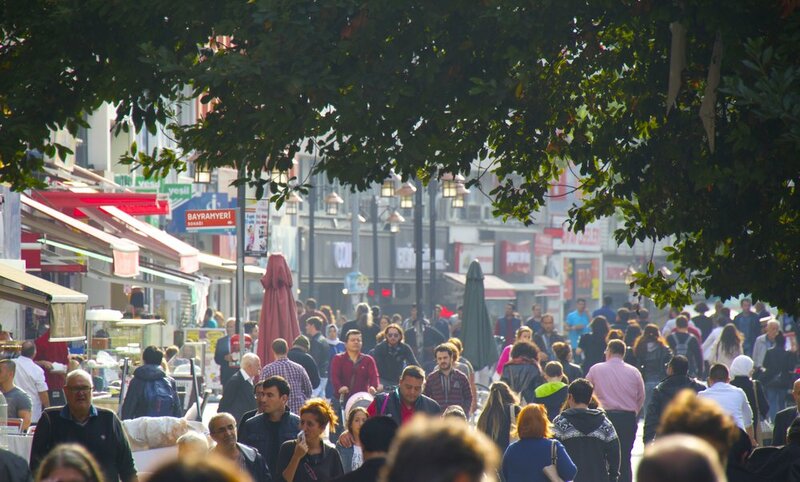 He took me out in Kadıköy to bustling Güneşli Bahçe Street. This is a big street for local nightlife. You won’t find many westerners here, but you will have a good time. We went to a restaurant that served a drink called Raki (pronounced “rekka”). This is the authentic Turkish liquor. He explained to me that Raki is typically consumed when people need to discuss serious matters, like the death of a relative. The standard foods that are eaten in conjunction with Raki are melons, fish, and cheese. Raki comes in a small liquor bottle, much the same as an Vodka you might buy in America, but you do not drink it straight. Raki is mixed with water, which turned it milky white almost instantly. The ratio of Raki to water is typically one to one, but if that is too strong there is nothing preventing you from watering it down further. Raki tastes and smells very strongly like black licorice, so if you don’t like black licorice, don’t bother. Personally, I love it! Raki tastes like Good ‘N Plenty. Does anybody else remember that candy? There is an etiquette to drinking Raki that is important to note. When you make a toast, you need to consider your relationship with the person whose glass you are about to “clink”. If this is a person who you consider to be “above” you in life, like your father, or your boss for example, when you toast you “clink” your glass lower than theirs. If you think that you are on an equal level with this person, then your glasses should be level with one another, as is normal. If the person you are drinking with is below you, a student, child, or employee for example, then your glass should be higher than theirs when you toast. However, it is up to them to lower their glass as a sign of respect. You should never make your glass higher than somebody else’s. You go in for the toast as if you are equals, and the other person should lower their glass on their own, as a sign of respect. We clinked our glasses, drank our Raki, and ate cheese with melon. However, our conversation I found to be pretty uplifting, so we broke the rules there. Don’t tell anybody. Getting this peek inside what life actually looks like in Istanbul meant a lot to me. This involves more than just food and coffee though. This is a rocky time for Turkey. Things are changing. Cities like Istanbul are political and ideological battlegrounds. Istanbul has a long history as being at the center of such conflicts, and that history continues to this day in a very encouraging way. If you're interested in learning more about Istanbul, check out the Tourist's Guide to Istanbul, where we explore some Istanbul's most famous sightseeing destinations. To get an overview of our coverage of Turkey, as a country, go to the Turkey Index.